Do You Need A Virtual Address? Let’s start by explaining what is a virtual address, a virtual address is having a real street address used as your mailing address. You can send all mail and packages to it and view mail online and decide how you’d like to handle it without needing to deal with paper mail ever again. Now the question is do you need one? How can a virtual address help you? No more wasted money on gas. With a virtual mailing address, you can rest in the comfort of your home and have your mail come to you (you don’t even need to walk out to the mailbox). By logging into a secure cloud-based software, you can access all your mail and even choose what to do with it. You can kiss those post office trips good bye. Full online management. It takes you hours sorting through your mail and figure out what to do with it all. Now you’ll get instant notifications to your phone and email, and organize your mail into folders, or easily search by sender or date; it’s just like handling your email. Control your mail yourself. You get options for various different ways to handle your mail. You can choose to open & scan, forward, archive, or shred & recycle any of your mail items. 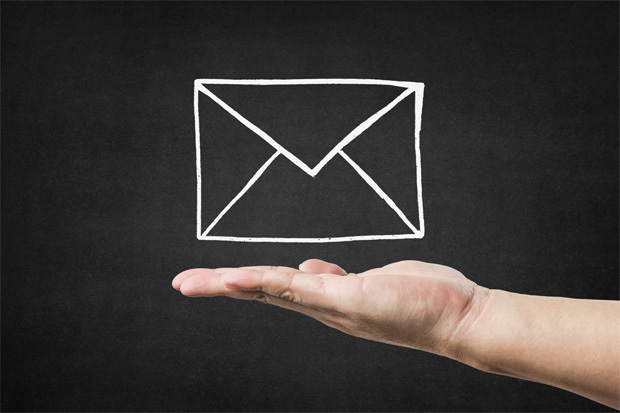 Once our experienced mail operators receive your request, they immediately take action. Protect yourself against identity theft. By having your mail sent to secured facilities, as opposed to leaving it neglected in the mailbox, you’re removing the risk of your mail potentially falling into the wrong hands. You are reducing your risk of identity theft. You can send a shredding or forwarding request for any bank statement, credit card statement, or bill you receive. Get your mail wherever you are. Worried about your mail when away on vacation or traveling? With a virtual mailing address, you won’t ever need to worry about getting your mail and packages again. Mail leaders like Virtual Mailbox offer local and international shipping, forwarding whatever you need. Your packages are even consolidated for lower shipping rates; your convenience is our goal. Shop online with no restrictions. With a P.O. box, you can only receive packages from USPS. A street address means you can receive packages from all couriers with no limit. Why not just have it delivered to your home address? Because the rate of packages going missing after delivery increases every year. Then you’ll have to file for a missing package and wait for the standard procedures to take place which could take up to weeks. Why risk it when Virtual Mailbox is accessible anywhere? Unlimited mail storage. Instead of losing or misplacing important mail, you can have all your mail virtually stored on a secure server. Whenever you need a mail item, just search for it to pull it out and download or print it. Junk mail is no longer a problem. We all know junk mail can get very annoying. Whether it’s sales spam, monthly reminders, or anything pointless, we wish it would stop. With a virtual mailbox, you can set up filters to never receive junk mail again! Helps start-up or home-based businesses flourish. When you’re running a home business or a small start-up business, you don’t want your customers to know you’re working from home. You want them to believe you have your settled office on a commercial street and that you are reliable. You can sign up for a virtual street address to use as your business mailing address, use it on your website, social media, customer invoices, and your business cards. 30 days of physical mail storage. Send all the packages you like to your virtual mailbox and never worry about being home, forwarding, or having enough space. Virtual Mailbox provides a home for your packages for up to 30 days from their arrival for free. What happens after 30 days? It is still stored for a small fee. Forward your packages to you when you want. How to get your virtual address today? Go to Virtual Mailbox to learn more about the mail and forwarding services, with over 50 street addresses to choose from, the choice is yours. Once you sign up and pick your address, you get a 30-day free trial to experiment with the service and start having your mail delivered regularly. There are no hidden fees, just choose one of the packages that suits your needs and don’t get tied down with a contract or cancellation time. A virtual address will save you time at the Post Office, following up with USPS on shipping problems, and eliminate any mail annoyance. Enjoy Your 30-days FREE Trial! How To Get Your Items Shipped Worldwide? Traveler! How To Get A Real Street Address For Your Postal Mail?